He came that we might have life! 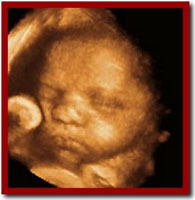 40 Days for Life ... we're moving onward into 2013! 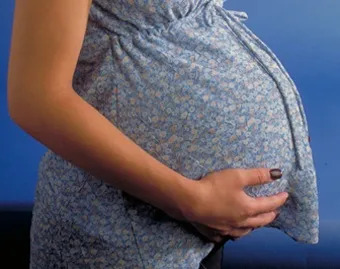 A new government report estimates the number of U.S. abortions dropped five percent in 2009, drawing praise from pro-life advocates and researchers who say the drop could be due in part to an increase in the numbers of pro-life Americans. Time: 8:30 a.m. - 1:00 p.m. Youth For Life is going to DC for the 40th Annual March for Life! The trip is open to all high school youth. Cost is approximately $600. Registration is due by December 3. Safe environment-cleared chaperones needed. For more info and to register online, visit prolifedallas.org/dcmarch. High school students are invited to join us for an afternoon of dynamic speakers, pro-life service projects, and a monthly pro-life challenge. The theme of this meeting will be “Conception: What’s God Got to Do With It?” Learn more at prolifedallas.org/railroad. Date: Tues., December 4 The conversation will address the challenges of moving Texas toward a culture that does not rely on the death penalty. Panelists include Deacon Charlie Stump of the Catholic Diocese of Dallas, along with clergy from the Lutheran, Baptist and Methodist faith traditions. Reserve free tickets, submit questions for the panel, and learn more at tcadp.org/faithful-conversation. Sponsored by the Texas Coalition Against the Death Penalty. , so we may include your parish in our promotions. Sponsored by National Night of Prayer for Life. When the Sonogram bill was being debated in the Texas legislature last year, the abortion lobby claimed that the measure was an unnecessary intrusion and that it would not impact women’s decisions to have an abortion. Pope Benedict’s emissary to the United States warned earlier this month that Catholic professors and public officials who rebel from Church teaching on key issues such as abortion and marriage represent a “grave” threat to religious liberty. Archbishop's full statement available here. At the end of this record-breaking 40 Days for Life campaign, we praise God for 821 babies saved from abortion — that we know of [including 36 outside the Dallas vigil site]! In addition, six abortion workers have quit their jobs ... and one Planned Parenthood abortion center closed its doors forever five days after the campaign ended! *McKinney will once again participate in the Spring Campaign. More details coming soon at prolifedallas.org/mckinney. The CPLC also supports a prayer and counseling presence outside the 5 Dallas abortion centers throughout the year. Click here for more information and to register for the next training on Dec. 1.